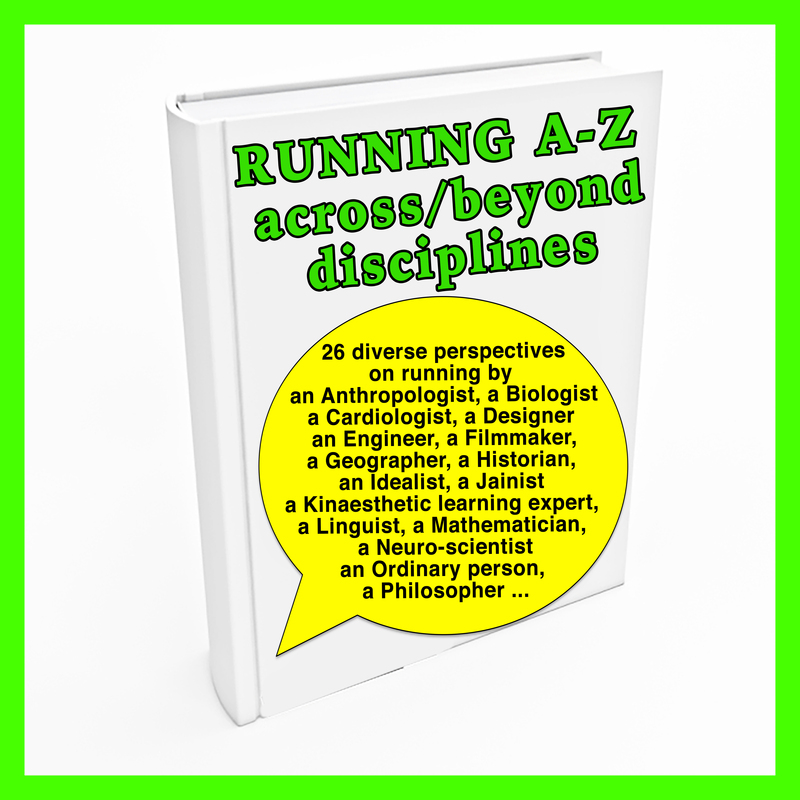 ANTHOLOGY: RUNNING ACROSS DISCIPLINES | RUN! RUN! RUN! 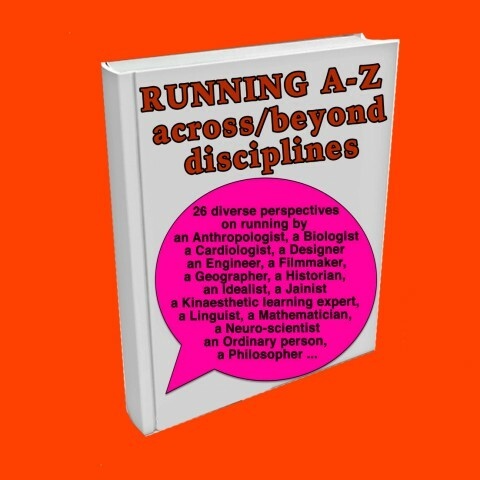 Running A-Z: 26 Diverse Perspectives on Running by an Anthropologist, a Biologist, Cardiologist, Designer, an Engineer, A Filmmaker … … is a unique book that explores running from a range of disciplines in the form of short essays and images. The book sums up what the RUN! RUN! RUN! 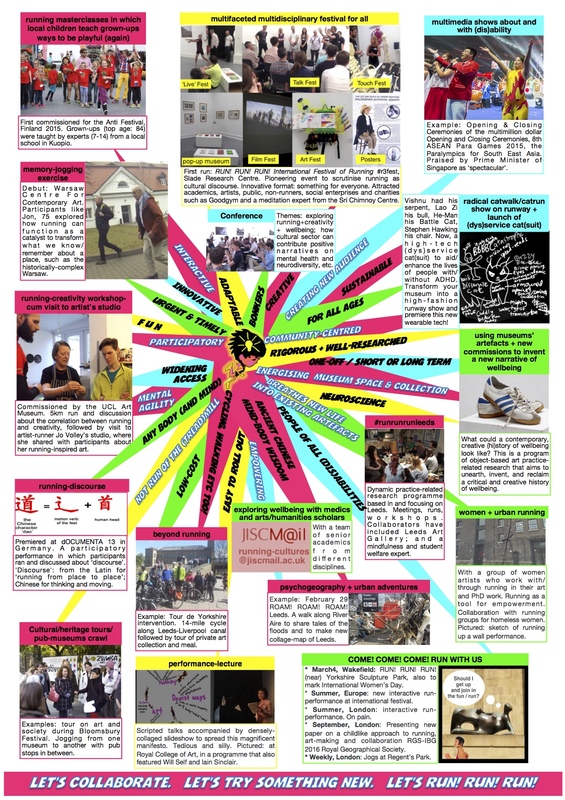 International Body For Research believes is the beauty of running, that is, how it can be discussed from a wide range of angles and, put another way, how it can cut across traditional boundaries of disciplines and institutions. The ‘opposite’ works as well – running can also be activated a wonderful starting point or catalyst from which a range of critical issues can be approached – including well-being, privacy, autonomy and so on. Running A-Z will be a feast as there is something for everyone. We have identified several experts that we would like to work with. Several of them participated in the RUN! RUN! RUN! International Festival of Running 1.0. Potential reader, reserve copies of The Art of Running now. And if you a publishing house with foresight, take the lead by producing the next generation of books that investigate running beyond the mundane. Running has critical mass. 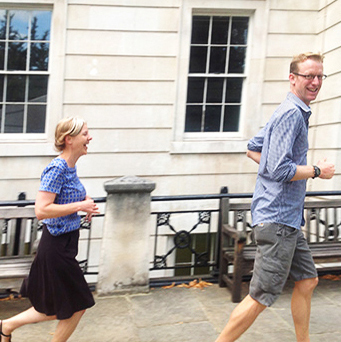 Below: Experts from a range of fields present their take on running at the RUN! RUN! RUN! International Festival of Running 1.0. Left-right: Penny Andrews shares her personal story as UK number 1 in T36 classification [cerebral palsy in all 4 limbs, ambulant]. National 100m Champion 2013 and 2014; Dr Russell Hitchings, Senior Lecturer from University College London Geography shares findings from a research conducted on indoor-running; Ms Gemma Price, anthropologist, exposed her skeletons – of our bi-pedal ancestors.